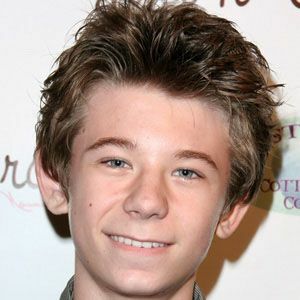 Best known for his Young Artist Award-nominated performance as Sidney in the Disney satellite channel series Kickin' It, he also appeared in episodes of Parks & Recreation and The Middle. Early in his career, he was cast in the 2008 comedy film Beethoven's Big Break. In 2012, he appeared on a Cartoon Network sketch comedy program called Incredible Crew. Natives of the United Kingdom, he and his sister, Ophelia Boxley, both relocated to the United States to pursue their childhood acting careers. He played a childhood version of reality television host Ty Pennington in a 2010 episode of Extreme Makeover: Home Edition.